It is almost an unspoken phenomenon in church life. Three decades ago, over nine of 10 churches with a congregational government had a monthly business meeting. Several non-congregational churches had monthly business meetings as well. Today, less than one-third of American Protestant churches have these monthly meetings. That is an incredible decline hardly noted by many pundits. The monthly church business meeting is dying. The negative church members have pushed the positive members out of the meetings. Healthy church members have no desire to be a part of a gripe and complain session. Most of them who do attend do so to protect the pastor and the staff. The frequency of the meeting leads to micromanagement. There is typically not sufficient major business to discuss every month. So the void is filled with discussions and complaints of minutiae. One monthly church meeting lasted over an hour due to disagreements regarding the quality and cost of toilet tissue in the restrooms. This meeting has become one of the most dreaded times for many pastors. These pastors certainly do not demonstrate excitement and anticipation in most cases. Church members typically will not follow unless leaders are enthused. The Millennials abhor contentious meetings. The monthly meeting thus has become one of the ways to drive off many young adults. The meeting often allows a few naysayers to have inordinate power. Frankly, that’s why many of them attend. A church member seeking power is a church member in need of repentance. The monthly business meeting is simply not necessary. It is a waste of the precious resource of time. 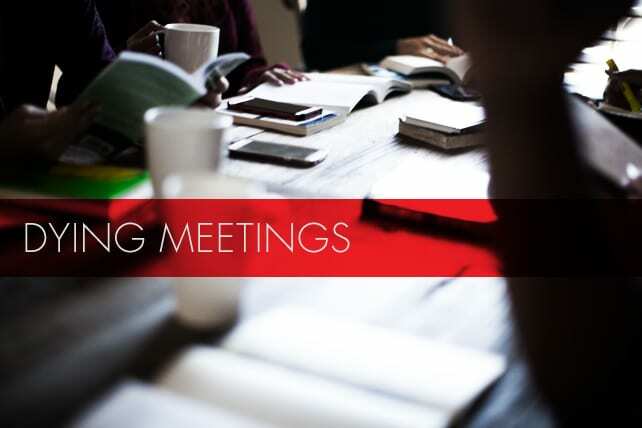 If there is a need for the church to tend to a major issue, special meetings can always be called. The monthly church meeting is dying. And few tears are being shed. Previous articleWhy Do Churches Cover Up Sin?